Russia sought a warm water port on the Pacific Ocean, for their navy as well as for maritime trade. Vladivostok was only operational during the summer season, but Port Arthur would be operational all year. 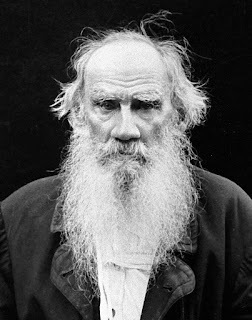 "So, I thought, reading Tolstoy's lines, what a pitiful and miserable creature this big genius has withered to, comfortable in his study of Yasnaya Polyana, sending to my friends and brothers in blood and in spirit on the battlefield his poisonous words of indignation and embarrassment, at the moment when, in hardship and suffering, they bravely do their duty and die for something sacred, and when even the children in a multimillion nation understand and feel that in these minutes, besides food, shelter and weapons, words of love and encouragement are needed by each soldier, and that whoever at this time is confusing them by his words and deprives them of encouragement, is the worst enemy and executioner of these heroes." (Sorry for the length of that sentence, but it goes on that way in the original). Yes, citizen. Tolstoy - the enemy of the War; but he has long ago ceased to be a Russian, since about when he ceased to be Orthodox. 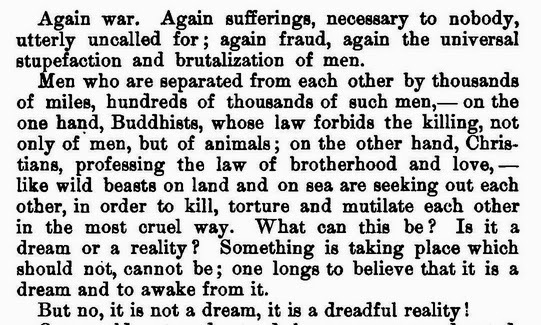 Thus the real war could not cause him any "clash of feelings", and there hasn't been a storm under his skull, for Count Tolstoy is now completely alien to Russia, and it is immaterial for him whether Japanese possess Moscow, St. Petersburg and the whole Russia [sic! 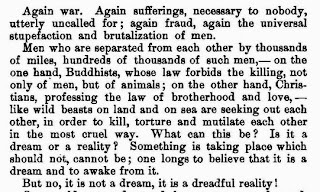 ], as long as Russia would quickly sign a peace treaty with Japan, on any, even the most humiliating and shameful, conditions. No Russian person can feel, think and speak so vulgarly and contemptibly, therefore Tolstoy can't be considered Russian. Would the Government deemed it possible to rip the mask from citizen Tolstoy and show him to the Russian people, in all his hideous nakedness, this act would be the end of all our "Tolstoyanism" and then, but only then, one could allow the old screwball quietly live out his life in his Yasnaya Polyana and bury there his former glory. Well, there is more in that post by Alexander Shamarin, but I think that the above provides enough food for thought. Hardly an independent artist has ever existed who didn't oppose war. The little known 4th member of ZZ Top the early days. Turns out Kiselev and Zadornov are following in the steps of their servile ancestors from a century ago. That is true, but what is interesting in this case is the behavior of the "patriotic" press. Yes, indeed. Who could have guessed?